2017 C 300 4MATIC® with Premium 2 Package and more! Odometer is 10069 miles below market average! CARFAX One-Owner. If we can be of assistance, please contact us at (888) 837-9454. UPGRADED EQUIPMENT: * Original MSRP: $51,565 * Ambient Lighting * AMG® Illuminated Door Sill Panels * Blind Spot Assist * Burmester Premium Sound * COMAND® Navigation & Voice Control * COMAND® Single CD/DVD * Electronic Trunk Closer * Entrance Lamps in Doors * HANDS-FREE Comfort Package * Hands-Free Trunk Access * Heated Front Seats * Illuminated Star * KEYLESS GO * Power Folding Mirrors * Premium 2 Package * Rear-View Camera * SiriusXM Satellite Radio * SiriusXM Traffic and Weather Services * Touchpad. MARKET-BASED PRICING: Our market-based pricing software scans the market hourly and prices our vehicles based on real-time market supply and demand data. This means you get our best price upfront. No games, just an easy and transparent shopping experience! ABOUT US: Mercedes-Benz of Chantilly is located at 14841 Stonecroft Center Court in Chantilly, Virginia. As an authorized Mercedes-Benz dealer, we offer one of the largest new and pre-owned inventories.If you live out of the area, ask us about our door-to-door delivery, or your Washington D.C. Area pickup options. All prices plus tax, tags and $695 dealer processing fee. -2017 C 300 4MATIC® with Premium 2 Package and more! Odometer is 10069 miles below market average! CARFAX One-Owner. If we can be of assistance, please contact us at (888) 837-9454. LEASE this GLA 250! Enjoy the benefits of our Loaner-to-Owner program. Our loaners include the balance of the 4 year / 50,000 mile warranty and are eligible for new car programs including leases! VEHICLE HIGHLIGHTS: * Original MSRP: $40,995 * Android Auto * Apple CarPlay * Auto-Dimming Rearview & Driver-Side Mirrors * Blind Spot Assist * Convenience Package * Garage Door Opener * HANDS-FREE ACCESS * Heated Front Seats * KEYLESS GO * Panorama Sunroof * Premium Package * SIRIUSXM Satellite Radio * Smartphone Integration MARKET-BASED PRICING: Our market-based pricing software scans the market hourly and prices our vehicles based on real-time market supply and demand data. This means you get our best price upfront. No games, just an easy and transparent shopping experience! ABOUT US: Mercedes-Benz of Chantilly is located at 14841 Stonecroft Center Court in Chantilly, Virginia. As an authorized Mercedes-Benz dealer, we offer one of the largest new and pre-owned inventories.If you live out of the area, ask us about our door-to-door delivery, or your Washington D.C. Area pickup options. All prices plus tax, tags and $695 dealer processing fee. -LEASE this GLA 250! Enjoy the benefits of our Loaner-to-Owner program. Our loaners include the balance of the 4 year / 50,000 mile warranty and are eligible for new car programs including leases! LEASE this GLA 250! Enjoy the benefits of our Loaner-to-Owner program. Our loaners include the balance of the 4 year / 50,000 mile warranty and are eligible for new car programs including leases! VEHICLE HIGHLIGHTS: * Original MSRP: $40,995 * Android Auto * Apple CarPlay * Auto-Dimming Rearview & Driver-Side Mirrors * Blind Spot Assist * Convenience Package * Garage Door Opener * HANDS-FREE ACCESS * Heated Front Seats * KEYLESS GO * Panorama Sunroof * Premium Package * SIRIUSXM Satellite Radio * Smartphone Integration Package MARKET-BASED PRICING: Our market-based pricing software scans the market hourly and prices our vehicles based on real-time market supply and demand data. This means you get our best price upfront. No games, just an easy and transparent shopping experience! ABOUT US: Mercedes-Benz of Chantilly is located at 14841 Stonecroft Center Court in Chantilly, Virginia. As an authorized Mercedes-Benz dealer, we offer one of the largest new and pre-owned inventories.If you live out of the area, ask us about our door-to-door delivery, or your Washington D.C. Area pickup options. All prices plus tax, tags and $695 dealer processing fee. -LEASE this GLA 250! Enjoy the benefits of our Loaner-to-Owner program. Our loaners include the balance of the 4 year / 50,000 mile warranty and are eligible for new car programs including leases! LEASE this CLA 250! Enjoy the benefits of our Loaner-to-Owner program. Our loaners include the balance of the 4 year / 50,000 mile warranty and are eligible for new car programs including leases! VEHICLE HIGHLIGHTS: * Original MSRP: $42,645 * Android Auto * Apple CarPlay * Auto-Dimming Rearview & Driver-Side Mirrors * Blind Spot Assist * Convenience Package * Garage Door Opener * HANDS-FREE ACCESS * harman/kardon® Logic 7® Digital Surround * Heated Front Seats * KEYLESS GO * LED Headlamps * Panorama Sunroof * Premium Package * Rear Spoiler * SiriusXM Satellite Radio * Smartphone Integration * 18 5-Spoke Multi-Spoke Wheels MARKET-BASED PRICING: Our market-based pricing software scans the market hourly and prices our vehicles based on real-time market supply and demand data. This means you get our best price upfront. No games, just an easy and transparent shopping experience! ABOUT US: Mercedes-Benz of Chantilly is located at 14841 Stonecroft Center Court in Chantilly, Virginia. As an authorized Mercedes-Benz dealer, we offer one of the largest new and pre-owned inventories.If you live out of the area, ask us about our door-to-door delivery, or your Washington D.C. Area pickup options. All prices plus tax, tags and $695 dealer processing fee. -LEASE this CLA 250! Enjoy the benefits of our Loaner-to-Owner program. Our loaners include the balance of the 4 year / 50,000 mile warranty and are eligible for new car programs including leases! LEASE this GLA 250! Enjoy the benefits of our Loaner-to-Owner program. Our loaners include the balance of the 4 year / 50,000 mile warranty and are eligible for new car programs including leases! VEHICLE HIGHIGHTS: * Original MSRP: $43,145 * Android Auto * Apple CarPlay * Auto-Dimming Rearview & Driver-Side Mirrors * Blind Spot Assist * Convenience Package * Full LED Headlamps * Garage Door Opener * HANDS-FREE ACCESS * harman/kardon® Premium Sound System * Heated Front Seats * Illuminated Star * KEYLESS GO * Panorama Sunroof * Premium Package * SIRIUSXM Satellite Radio * Smartphone Integration Package MARKET-BASED PRICING: Our market-based pricing software scans the market hourly and prices our vehicles based on real-time market supply and demand data. This means you get our best price upfront. No games, just an easy and transparent shopping experience! ABOUT US: Mercedes-Benz of Chantilly is located at 14841 Stonecroft Center Court in Chantilly, Virginia. As an authorized Mercedes-Benz dealer, we offer one of the largest new and pre-owned inventories.If you live out of the area, ask us about our door-to-door delivery, or your Washington D.C. Area pickup options. All prices plus tax, tags and $695 dealer processing fee. -LEASE this GLA 250! Enjoy the benefits of our Loaner-to-Owner program. Our loaners include the balance of the 4 year / 50,000 mile warranty and are eligible for new car programs including leases! LEASE this GLA 250! Enjoy the benefits of our Loaner-to-Owner program. Our loaners include the balance of the 4 year / 50,000 mile warranty and are eligible for new car programs including leases! VEHICLE HIGHLITS: * Original MSRP: $43,145 * Android Auto * Apple CarPlay * Auto-Dimming Rearview & Driver-Side Mirrors * Blind Spot Assist * Convenience Package * Full LED Headlamps * Garage Door Opener * HANDS-FREE ACCESS * harman/kardon® Premium Sound System * Heated Front Seats * Illuminated Star * KEYLESS GO * Panorama Sunroof * Premium Package * SIRIUSXM Satellite Radio * Smartphone Integration MARKET-BASED PRICING: Our market-based pricing software scans the market hourly and prices our vehicles based on real-time market supply and demand data. This means you get our best price upfront. No games, just an easy and transparent shopping experience! ABOUT US: Mercedes-Benz of Chantilly is located at 14841 Stonecroft Center Court in Chantilly, Virginia. As an authorized Mercedes-Benz dealer, we offer one of the largest new and pre-owned inventories.If you live out of the area, ask us about our door-to-door delivery, or your Washington D.C. Area pickup options. All prices plus tax, tags and $695 dealer processing fee. -LEASE this GLA 250! Enjoy the benefits of our Loaner-to-Owner program. Our loaners include the balance of the 4 year / 50,000 mile warranty and are eligible for new car programs including leases! LEASE this GLA 250! Enjoy the benefits of our Loaner-to-Owner program. Our loaners include the balance of the 4 year / 50,000 mile warranty and are eligible for new car programs including leases! VEHICLE HIGHLIGHTS: * Original MSRP: $43,145 * Android Auto * Apple CarPlay * Auto-Dimming Rearview & Driver-Side Mirrors * Blind Spot Assist * Convenience Package * Full LED Headlamps * Garage Door Opener * HANDS-FREE ACCESS * harman/kardon® Premium Sound System * Heated Front Seats * Illuminated Star * KEYLESS GO * Panorama Sunroof * Premium Package * SIRIUSXM Satellite Radio * Smartphone Integration MARKET-BASED PRICING: Our market-based pricing software scans the market hourly and prices our vehicles based on real-time market supply and demand data. This means you get our best price upfront. No games, just an easy and transparent shopping experience! ABOUT US: Mercedes-Benz of Chantilly is located at 14841 Stonecroft Center Court in Chantilly, Virginia. As an authorized Mercedes-Benz dealer, we offer one of the largest new and pre-owned inventories.If you live out of the area, ask us about our door-to-door delivery, or your Washington D.C. Area pickup options. All prices plus tax, tags and $695 dealer processing fee. -LEASE this GLA 250! Enjoy the benefits of our Loaner-to-Owner program. Our loaners include the balance of the 4 year / 50,000 mile warranty and are eligible for new car programs including leases! LEASE this C 300! Enjoy the benefits of our Loaner-to-Owner program. Our loaners include the balance of the 4 year / 50,000 mile warranty and are eligible for new car programs including leases! UPGRADED EQUIPMENT: * Original MSRP: $48,375 * Android Auto * Apple CarPlay * Blind Spot Assist * Heated Front Seats * Heated Steering Wheel * KEYLESS GO * Panorama Sunroof * Premium Package * Rear Spoiler * SiriusXM Satellite Radio * Smartphone Integration Package * Wheels: 18 Twin 5-Spoke. MARKET-BASED PRICING: Our market-based pricing software scans the market hourly and prices our vehicles based on real-time market supply and demand data. This means you get our best price upfront. No games, just an easy and transparent shopping experience! ABOUT US: Mercedes-Benz of Chantilly is located at 14841 Stonecroft Center Court in Chantilly, Virginia. As an authorized Mercedes-Benz dealer, we offer one of the largest new and pre-owned inventories.If you live out of the area, ask us about our door-to-door delivery, or your Washington D.C. Area pickup options. All prices plus tax, tags and $695 dealer processing fee. -LEASE this C 300! Enjoy the benefits of our Loaner-to-Owner program. Our loaners include the balance of the 4 year / 50,000 mile warranty and are eligible for new car programs including leases! * Wheels: 18 Twin 5-Spoke. LEASE this GLA 250! Enjoy the benefits of our Loaner-to-Owner program. Our loaners include the balance of the 4 year / 50,000 mile warranty and are eligible for new car programs including leases! VEHICLE HIGHLIGHTS: * Original MSRP: $43,865 * Android Auto * Apple CarPlay * Auto-Dimming Rearview & Driver-Side Mirrors * Blind Spot Assist * Convenience Package * Full LED Headlamps * Garage Door Opener * HANDS-FREE ACCESS * harman/kardon® Premium Sound System * Heated Front Seats * Illuminated Star * KEYLESS GO * Panorama Sunroof * Premium Package * SIRIUSXM Satellite Radio * Smartphone Integration MARKET-BASED PRICING: Our market-based pricing software scans the market hourly and prices our vehicles based on real-time market supply and demand data. This means you get our best price upfront. No games, just an easy and transparent shopping experience! ABOUT US: Mercedes-Benz of Chantilly is located at 14841 Stonecroft Center Court in Chantilly, Virginia. As an authorized Mercedes-Benz dealer, we offer one of the largest new and pre-owned inventories.If you live out of the area, ask us about our door-to-door delivery, or your Washington D.C. Area pickup options. All prices plus tax, tags and $695 dealer processing fee. -LEASE this GLA 250! Enjoy the benefits of our Loaner-to-Owner program. Our loaners include the balance of the 4 year / 50,000 mile warranty and are eligible for new car programs including leases! LEASE this C 300! Enjoy the benefits of our Loaner-to-Owner program. Our loaners include the balance of the 4 year / 50,000 mile warranty and are eligible for new car programs including leases! UPGRADED EQUIPMENT: * Original MSRP: $49,565 * Android Auto * Apple CarPlay * Blind Spot Assist * Heated Front Seats * KEYLESS GO * LED Headlamps * LED Logo Projectors * Panorama Sunroof * Parking Assist Package * PARKTRONIC with Active Parking Assist * Premium Package * Rear Spoiler * SiriusXM Satellite Radio * Smartphone Integration Package * Surround View System * Wheels: 18 Twin 5-Spoke. MARKET-BASED PRICING: Our market-based pricing software scans the market hourly and prices our vehicles based on real-time market supply and demand data. This means you get our best price upfront. No games, just an easy and transparent shopping experience! ABOUT US: Mercedes-Benz of Chantilly is located at 14841 Stonecroft Center Court in Chantilly, Virginia. As an authorized Mercedes-Benz dealer, we offer one of the largest new and pre-owned inventories.If you live out of the area, ask us about our door-to-door delivery, or your Washington D.C. Area pickup options. All prices plus tax, tags and $695 dealer processing fee. -LEASE this C 300! Enjoy the benefits of our Loaner-to-Owner program. Our loaners include the balance of the 4 year / 50,000 mile warranty and are eligible for new car programs including leases! LEASE this C 300! Enjoy the benefits of our Loaner-to-Owner program. Our loaners include the balance of the 4 year / 50,000 mile warranty and are eligible for new car programs including leases! UPGRADED EQUIPMENT: * Original MSRP: $50,225 * Blind Spot Assist * Burmester Premium Sound System * COMAND® Navigation * COMAND® Single CD/DVD * Heated Front Seats * KEYLESS GO * Multimedia Package * Panorama Sunroof * Premium Package * Rear Spoiler * SiriusXM Satellite Radio * Touchpad * 18 Twin 5-Spoke Wheels MARKET-BASED PRICING: Our market-based pricing software scans the market hourly and prices our vehicles based on real-time market supply and demand data. This means you get our best price upfront. No games, just an easy and transparent shopping experience! ABOUT US: Mercedes-Benz of Chantilly is located at 14841 Stonecroft Center Court in Chantilly, Virginia. As an authorized Mercedes-Benz dealer, we offer one of the largest new and pre-owned inventories.If you live out of the area, ask us about our door-to-door delivery, or your Washington D.C. Area pickup options. All prices plus tax, tags and $695 dealer processing fee. -LEASE this C 300! Enjoy the benefits of our Loaner-to-Owner program. Our loaners include the balance of the 4 year / 50,000 mile warranty and are eligible for new car programs including leases! LEASE this GLC 300! Enjoy the benefits of our Loaner-to-Owner program. Our loaners include the balance of the 4 year / 50,000 mile warranty and are eligible for new car programs including leases! VEHICLE HIGHLIGHTS: * Original MSRP: $48,365 * Android Auto * Apple CarPlay * Blind Spot Assist * Burmester Surround Sound System * Chrome Door Handle Inserts * Heated Steering Wheel * KEYLESS GO * Panorama Sunroof * Premium Package * Rear Chrome Trim * Rear Seat Entertainment & Comfort Adapter * SiriusXM Satellite Radio * Smartphone Integration Package. MARKET-BASED PRICING: Our market-based pricing software scans the market hourly and prices our vehicles based on real-time market supply and demand data. This means you get our best price upfront. No games, just an easy and transparent shopping experience! 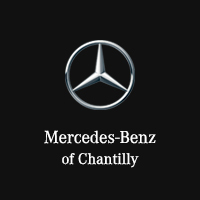 ABOUT US: Mercedes-Benz of Chantilly is located at 14841 Stonecroft Center Court in Chantilly, Virginia. As an authorized Mercedes-Benz dealer, we offer one of the largest new and pre-owned inventories.If you live out of the area, ask us about our door-to-door delivery, or your Washington D.C. Area pickup options. All prices plus tax, tags and $695 dealer processing fee. -LEASE this GLC 300! Enjoy the benefits of our Loaner-to-Owner program. Our loaners include the balance of the 4 year / 50,000 mile warranty and are eligible for new car programs including leases! LEASE this GLC 300! Enjoy the benefits of our Loaner-to-Owner program. Our loaners include the balance of the 4 year / 50,000 mile warranty and are eligible for new car programs including leases! UPGRADED EQUIPMENT: * Original MSRP: $52,495 * 19 5-Spoke Wheels * Ambient Lighting (3 colors) * Blind Spot Assist * Burmester Surround Sound System * COMAND® Single CD/DVD * Heated Front Seats * Heated Steering Wheel * KEYLESS GO * Multimedia Package * Panorama Sunroof * Premium Package * Pre-Wiring for Rear Seat Ent & Comfort Adapter * COMAND® System with Navigation * Rear Chrome Trim * SiriusXM Satellite Radio * Static LED Headlamps * Touchpad. MARKET-BASED PRICING: Our market-based pricing software scans the market hourly and prices our vehicles based on real-time market supply and demand data. This means you get our best price upfront. No games, just an easy and transparent shopping experience! ABOUT US: Mercedes-Benz of Chantilly is located at 14841 Stonecroft Center Court in Chantilly, Virginia. As an authorized Mercedes-Benz dealer, we offer one of the largest new and pre-owned inventories.If you live out of the area, ask us about our door-to-door delivery, or your Washington D.C. Area pickup options. All prices plus tax, tags and $695 dealer processing fee. -LEASE this GLC 300! Enjoy the benefits of our Loaner-to-Owner program. Our loaners include the balance of the 4 year / 50,000 mile warranty and are eligible for new car programs including leases! LEASE this C 300! Enjoy the benefits of our Loaner-to-Owner program. Our loaners include the balance of the 4 year / 50,000 mile warranty and are eligible for new car programs including leases! VEHICLE HIGHLIGHTS: * Original MSRP: $49,825 * Blind Spot Assist * Burmester Premium Sound System * Electronic Trunk Closer * HANDS-FREE ACCESS * HANDS-FREE Comfort Package * Heated Front Seats * Heated Steering Wheel * Heating for Multifunction Steering Wheel * Illuminated Star * KEYLESS GO * Live Traffic * Panorama Sunroof * Premium Package * Rear Cross Traffic Alert * SD-Card Navigation Pre-Wiring * SiriusXM Satellite Radio * Wheels: 18 Twin 5-Spoke. MARKET-BASED PRICING: Our market-based pricing software scans the market hourly and prices our vehicles based on real-time market supply and demand data. This means you get our best price upfront. No games, just an easy and transparent shopping experience! ABOUT US: Mercedes-Benz of Chantilly is located at 14841 Stonecroft Center Court in Chantilly, Virginia. As an authorized Mercedes-Benz dealer, we offer one of the largest new and pre-owned inventories.If you live out of the area, ask us about our door-to-door delivery, or your Washington D.C. Area pickup options. All prices plus tax, tags and $695 dealer processing fee. -LEASE this C 300! Enjoy the benefits of our Loaner-to-Owner program. Our loaners include the balance of the 4 year / 50,000 mile warranty and are eligible for new car programs including leases! LEASE this GLC 300! Enjoy the benefits of our Loaner-to-Owner program. Our loaners include the balance of the 4 year / 50,000 mile warranty and are eligible for new car programs including leases! VEHICLE HIGHLIGHTS: * Original MSRP: $50,085 * Android Auto * Apple CarPlay * Blind Spot Assist * Burmester Surround Sound System * Chrome Door Handle Inserts * Heated front seats * Heated Steering Wheel * KEYLESS GO * Panorama Sunroof * Premium Package * Rear Chrome Trim * Rear Seat Entertainment & Comfort Adapter * SiriusXM Satellite Radio * Smartphone Integration * Smartphone Integration Package * Static LED Headlamps * Wheel Locks. MARKET-BASED PRICING: Our market-based pricing software scans the market hourly and prices our vehicles based on real-time market supply and demand data. This means you get our best price upfront. No games, just an easy and transparent shopping experience! ABOUT US: Mercedes-Benz of Chantilly is located at 14841 Stonecroft Center Court in Chantilly, Virginia. As an authorized Mercedes-Benz dealer, we offer one of the largest new and pre-owned inventories.If you live out of the area, ask us about our door-to-door delivery, or your Washington D.C. Area pickup options. All prices plus tax, tags and $695 dealer processing fee. -LEASE this GLC 300! Enjoy the benefits of our Loaner-to-Owner program. Our loaners include the balance of the 4 year / 50,000 mile warranty and are eligible for new car programs including leases! LEASE this C 300! Enjoy the benefits of our Loaner-to-Owner program. Our loaners include the balance of the 4 year / 50,000 mile warranty and are eligible for new car programs including leases! VEHICLE HIGHLIGHTS: * Original MSRP: $50,545 * Blind Spot Assist * Burmester Premium Sound System * Electronic Trunk Closer * HANDS-FREE ACCESS * HANDS-FREE Comfort Package * Heated Front Seats * Heated Steering Wheel * Heating for Multifunction Steering Wheel * Illuminated Star * KEYLESS GO * Live Traffic * Panorama Sunroof * Premium Package * Rear Cross Traffic Alert * SD-Card Navigation Pre-Wiring * SiriusXM Satellite Radio * Wheels: 18 Twin 5-Spoke. MARKET-BASED PRICING: Our market-based pricing software scans the market hourly and prices our vehicles based on real-time market supply and demand data. This means you get our best price upfront. No games, just an easy and transparent shopping experience! ABOUT US: Mercedes-Benz of Chantilly is located at 14841 Stonecroft Center Court in Chantilly, Virginia. As an authorized Mercedes-Benz dealer, we offer one of the largest new and pre-owned inventories.If you live out of the area, ask us about our door-to-door delivery, or your Washington D.C. Area pickup options. All prices plus tax, tags and $695 dealer processing fee. -LEASE this C 300! Enjoy the benefits of our Loaner-to-Owner program. Our loaners include the balance of the 4 year / 50,000 mile warranty and are eligible for new car programs including leases! Pre-Owned vehicle pricing includes all offers. Tax, Title and Tags not included in vehicle prices shown and must be paid by the purchaser. While great effort is made to ensure the accuracy of the information on this site, errors do occur so please verify information with a customer service rep. This is easily done by calling us at (888) 837-9454 or by visiting us at the dealership.